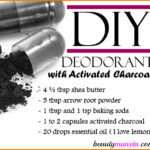 DIY Deodorant without Coconut Oil - beautymunsta - free natural beauty hacks and more! 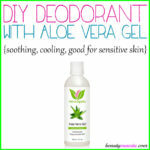 Follow this simple but incredibly simple recipe for DIY deodorant without coconut oil! Coconut oil is the bomb. 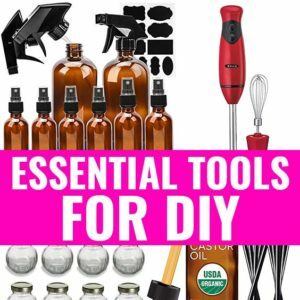 It’s praised in all departments of natural well-being for its amazing benefits: use it for weight loss, moisturizing your hair, brushing your teeth, and even making your own deodorant! But not everyone might have access to this creamy white oil. Some people even don’t like coconut oil or its smell! But more practically, when used in a DIY deodorant, coconut oil can melt down and leave you with a melted liquid deodorant! 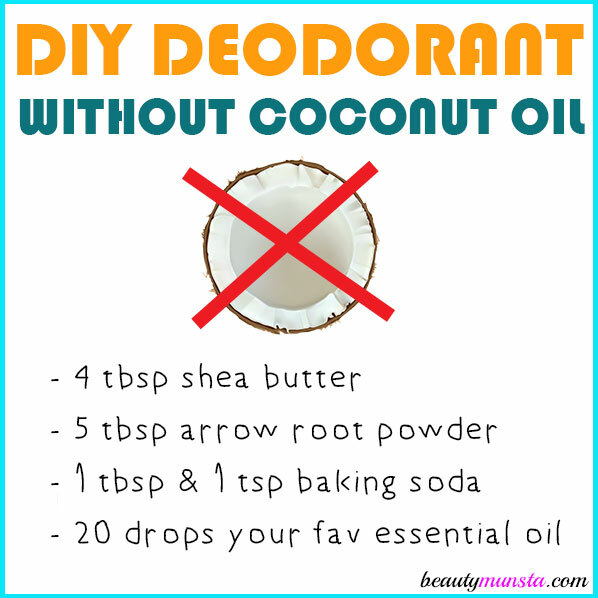 That’s the major reason why some people want to avoid using coconut oil in their DIY deodorant! Don’t worry folks, I’ve got your back with this incredible DIY deodorant without coconut oil. It’s the one I’m using currently and its the basic deodorant I’m gonna stick with FOR LIFE! Yes, it’s that awesome! Place 4 tbsp of shea butter in a small pan on the stove top. 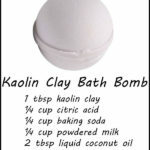 Once melted, turn off the heat and add the baking soda and arrow root powder. Stir well to form a creamy paste then stir in the ylang ylang essential oil. Pour your creamy mixture into deodorant tubes or a glass container. If using a plastic container, then first completely cool your deodorant for 10 minutes. It will become kinda firm but you can still scrape it into the container. That’s it! 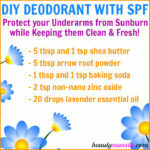 Your DIY deodorant without coconut oil is ready! Let it set in the refrigerator for 30 minutes before use! If storing in a container, scoop out just a pea-sized amount each and apply on clean underarms. This deodorant can last the whole day (9 to 5), I’m telling you! But please reapply in the afternoon if it’s necessary.